I've recently return from a holiday (vacation) on the beautiful island of Madeira. After the first day of rain and mist, the sun shone and we really enjoyed the island and, of course, the food. 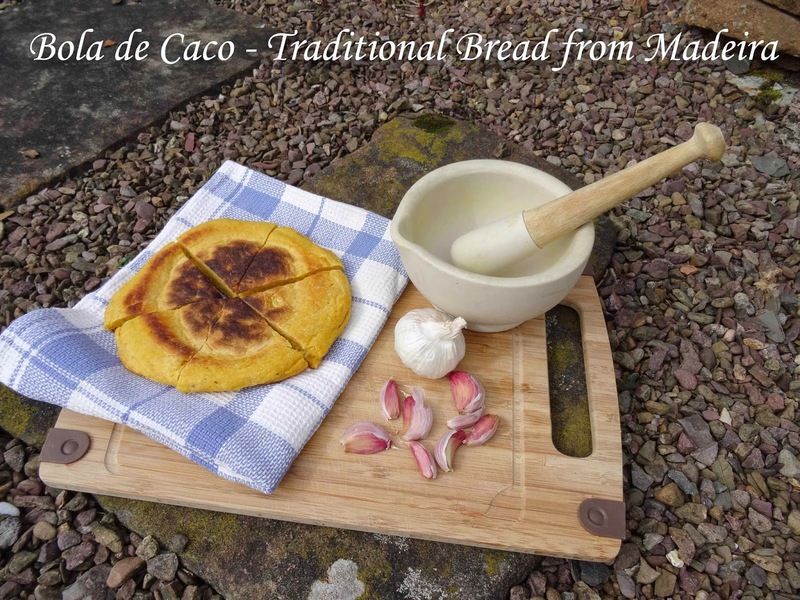 As it is an island there was a lot of fish which we love, but today I am sharing with you a recipe for the local bread, Bola de Caco. We were served this little round loaf as garlic bread on several occasions, but I also saw it sold from a stall as a sandwich snack. 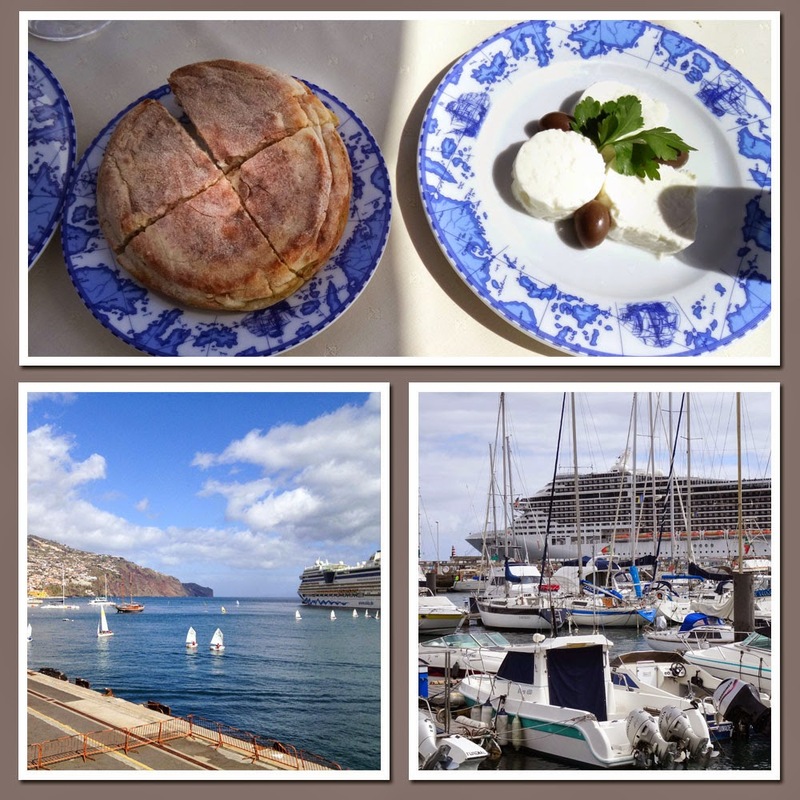 Bola de Caco Garlic Bread served with fresh cheese and olives, eaten in a restaurant overlooking the Marina at Funchal. On our return, I did a little research and found that one of the ingredients in Bola de Caco is sweet potato, although I think their sweet potato must be less orange as the bread was not as coloured as mine. Some recipes suggested a sour dough, but I didn't have time to wait, so my version is a fast action yeast version. 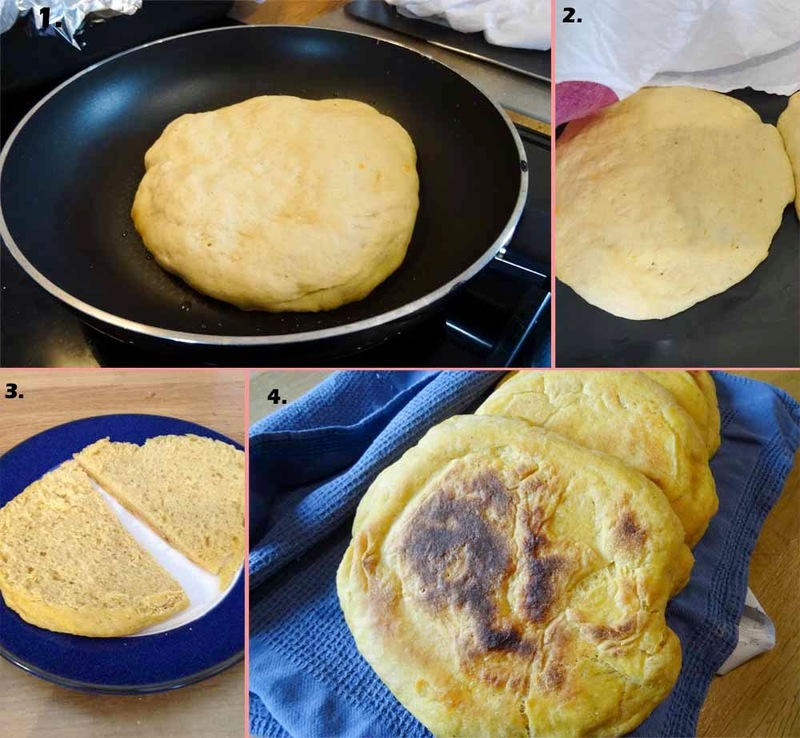 I have kept faithful to the method of baking which is in a pan, so it's a bit like a cross between a tattie scone and a giant English Muffin. 3. Texture of the bread which is slightly chewy on the outside but soft and light inside. 4. The bread rounds cooling. 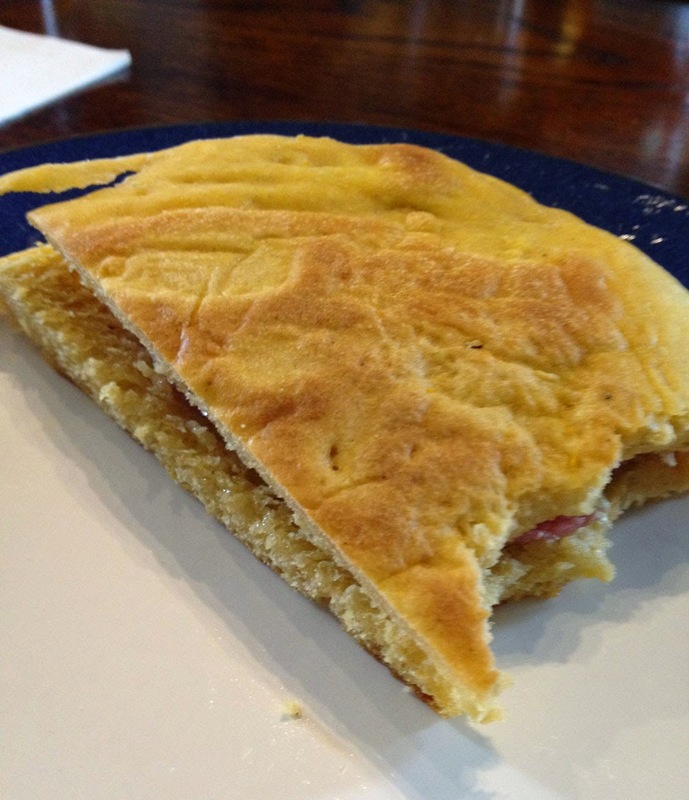 I was surprised how easy it was to make the Bola de Caco and pleased that they cooked all the way through. As you can see above, this little bread also makes a great bacon butty! Looks fab! A lot of the fruit and veg in madeira is unique for regulatory reasons - those tiny bananas you may have found are not allowed to be sold anywhere else as bananas!